There are some universal traditions that instantly evoke the Christmas spirit every year – decorating a green Christmas tree in LED lights and kitsch decorations, preparing mince pies and Christmas pudding (or buying them! ), manic present shopping before the 25th and the smell of turkey roasting in the oven. But besides these staples, they don’t call Christmas ‘the most wonderful time of the year’ for nothing, and every family has their own traditions that make Christmas truly special for them. 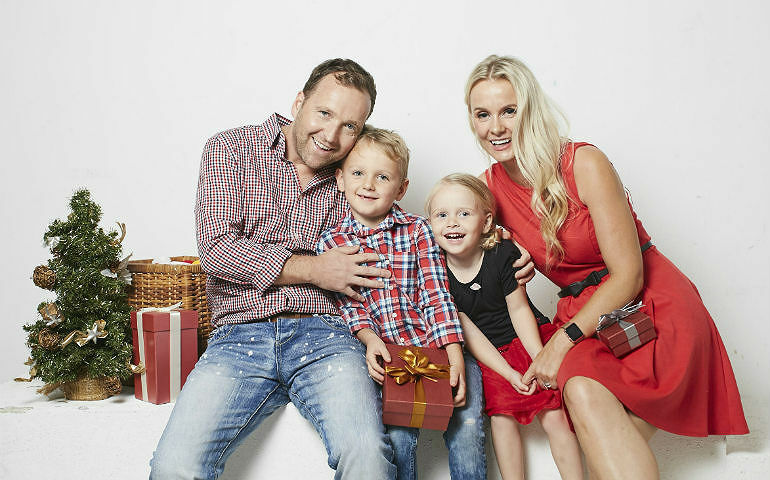 From Elsa on the shelf to footprints around the house, we spoke to four families and heard all about their sweet, funny and most of all, memorable traditions. Christmas was a big deal for Aine when she was young, so when she became a mum, it was natural that many of the festive traditions she’d experienced in Ireland would live on with her own children. The lead-up to Christmas is a whirlwind of festive fun for her family with shopping in Chinatown and IKEA for decorations, getting the tree out, the scent of oranges, figs, cinnamon and cloves in the air, and throwing an annual gingerbread house party with a hot chocolate bar, plenty of Christmas treats and many mums with children. On Christmas morning, seven-year-old Noah and four-year-old Annabella aren’t allowed to go anywhere near the living area until everyone’s opened the stockings that Santa leaves at the bottom of the bed, and then they have to wait until Mummy and Daddy have checked to see if Santa has come yet. But how can they tell if Santa’s come? By the footprints around the house and the glitter strewn everywhere, of course – not to mention the trail of sweets leading to the toys by the tree! This year is an exciting one for the Thomas family as two has now become three! It’s baby Savannah’s first Christmas and proud parents Steve and Samantha are keen on making sure that it’s filled with joy, laughter and love. Food has always played a central part in Christmas celebrations and it’s no different for both Steve and Samantha. While Steve, who hails from Australia, enjoyed a more traditional spread of ham, roast potatoes and roast chicken or turkey, local girl Samantha often had Chinese dishes on the day. Like most kids, Steve and his siblings couldn’t wait for Christmas day and would wake their parents up before 5am to open Christmas presents, despite their objections! Samantha and her family also used to go to church for Christmas, but now that she’s older, it’s more about getting together with friends and family – and presents, of course. Steve travels back to the Gold Coast annually for Christmas and this year, he’s looking forward to introducing his new baby daughter to his family back home. Both parents are also excited about watching Savannah ‘help’ decorate the Christmas tree, playing with wrapping paper and just having a jolly good time for her first Christmas. With a new baby in their lives, the importance of tradition isn’t lost on Steve and Samantha. “Traditions keep the family together and when families get together, we create memories – especially important for a child as the littlest things make them happy,” says Samantha. With four children, it’s a busy affair indeed in the Harwood household come Christmas. Putting up the Christmas tree is always a favourite tradition and since the Harwoods have lived in seven different countries, the ornaments – mainly bells – they’ve collected for the tree make it a unique reflection of their lifestyle. Malaysia’s contribution will come from Central Market! 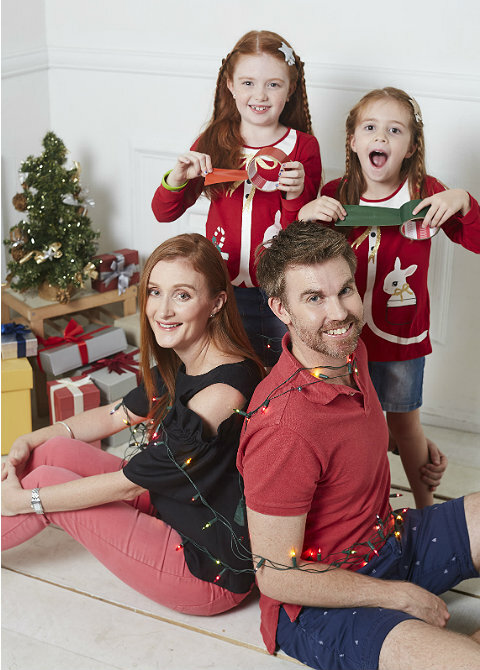 The family enjoys dual citizenship in the UK and Australia, whose citizens make a big show of decorating their houses in Christmas lights, and so they do the same as well. They’re keen to see the houses in Melaka and their famed decorations for this reason. While in Australia, the Harwoods adopted the tradition of making gingerbread houses filled with sweets and covered in snow icing, which are usually eaten very quickly. This year, mum Rebekah says that they may attempt one designed like the Petronas Twin Towers! They’ll also countdown to Christmas with an advent calendar that has chocolate hiding behind the doors. The Harwoods live on top of Pavilion Kuala Lumpur, which is renowned for their extravagant Christmas decorations, and Rebekah is excited to see what they’ll have this year. The Harwoods also go to the Holy Trinity Bukit Bintang (HTBB) church and celebrate Christmas with the community there on top of the Lot 10 shopping centre, which Rebekah says is very welcoming. “Being that Christmas is a celebration of the birth of Jesus, we can’t help but connect and think of our own children’s births and the joy that each child has brought to our family,” she says. Paula and Ben hail from Brisbane, Australia, and they’re used to warm Christmases. Instead of sweaters and onesies, their festive attire is swimsuits and board shorts as they would be swimming or going to the beach. The magic begins at the start of December when the resident Christmas elf, Elsa, comes out to see if eight-year-old Ava and five-year-old Emily are being naughty or nice. It’s important to impress as Elsa takes note of everything in a book and reports back to Santa! If Elsa gives a good report, the girls might get an email from Santa telling them they’ll get what they want on their wish lists this year. The Ringroses also help fulfil other Christmas wish lists by donating toys, clothes and books to refugee children in Malaysia every year. On Christmas Eve, mum and dad will help the girls leave a snack for Santa on the balcony, just as they did when they were children: cake and beer, plus carrot and milk for the reindeers. It seems Santa and his reindeer don’t have very good table manners, though. “They are eaten, but a big mess is left with chewed up carrot and cake crumbs everywhere. My favourite Christmas moment is seeing the children’s excitement when they see what Santa has brought them and the mess the reindeers have left!” says Paula. After checking the stockings, everyone will sit around the Christmas tree, listen to festive songs and take turns choosing a present from under the tree and handing it to the recipient; followed by a traditional Christmas meal and board games.